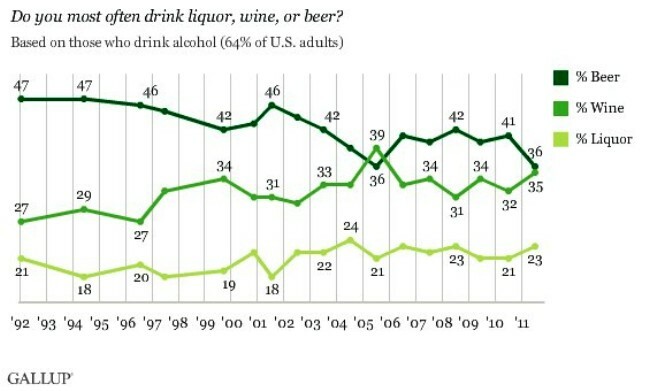 For the first time since 1992, wine and beer have tied as the top choice among U. S. drinkers asked in a Gallup poll whether they most often drink liquor, wine, or beer. 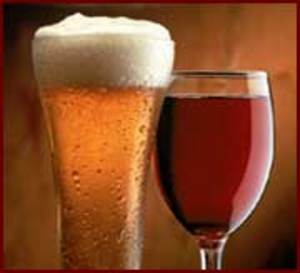 The poll found that nearly as many named wine (35%) as beer (36%). Liquor came in third, with a 23% preference. That 36% preference for beer is the lowest recorded by Gallup since the poll began in 1992. Poll findings indicates that younger adults have a decreased preference for beer compared to their elders -- something the beer industry is no doubt paying lots of attention to. If you'd like to read a detailed article about the study results, visit this Gallup page.